There are numerous job opportunities for anyone who wants to become a certified nursing assistant in Louisville, KY. As a CNA, you can expect job stability and a decent salary, but you’ll also have a chance to make a difference in the lives of your patients. The Kentucky Cabinet for Health and Family Services requires aspiring nurse assistants to complete 75 hours of approved training before challenging the state certification exam for inclusion on the nurse assistant registry. Training must include 59 hours of classroom instruction and 16 hours of clinical rotation at an approved nursing facility. 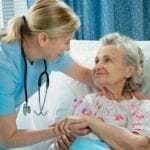 Once you receive your license to work, you can, like most CNAs, work in elderly care. The Medicaid Nurse Aide Program at Jefferson Community College is 75 hours long. It equips students with the essential skills to provide patient care at long term care facilities. Students must attend all 75 hours in order to graduate. Class size is limited to 15 students to create a supportive learning environment for students. Applicants must attend the mandatory information session and pay the course fee and liability insurance by the first day of classes. The school also requires applicants to submit a clean background check and negative TB skin test results as a prerequisite to admission. Tuition is $420 for Kentucky residents – based on 3 credit hours. Out-of-state students will pay more. Kentucky Health Care Training Institute has more than decades of training nursing assistants. The school’s state-approved curriculum provides 75-instructional hours of training, which takes 10 days to complete. The experienced instructors emphasize the role of nursing assistants, respecting patients’ rights, taking vital signs, observation and reporting, personal care and hygiene, communication skills, and death and dying to students during interactive classroom sessions. Students must purchase uniforms, closed-toe shoes and a watch with a second hand for the clinical rotation. Tuition is $580 inclusive of textbook and student liability insurance. Graduates are eligible to sit the state certification exam. Right Choice Health Care prepares students to take the state exam to become a Nurse Aide. The 75-hour program requires students to complete at least 16 hours in a clinical setting. Applicants must pass a background check and drug screen and be at least 16 years old for admission. 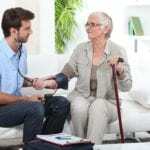 Course topics include safety, preventing falls, assisted living, pressure ulcers, measuring vital signs, nutrition and fluids, body structure and functions, mental health problems, basic emergency care, work ethics, restraint alternatives, and end-of-life care among others. Students must wear scrubs for classroom and clinical sessions. The total cost of the program is 590, which includes the course textbook and workbook, scrub top, background check, drug screen, skills demo CD and lecture notes. Students must purchase black scrub bottoms and black closed-toe shoes for the clinical rotation. Spalding University’s nursing assistant program is a blended program that includes both a didactic and clinical component. Students cover the first 45 hours of training online – instructional materials and progress evaluations included. After completing the online training, students spend 14 hours in the University’s skills lab to practice their skills before participating in the clinical rotation in a licensed nursing facility. The clinical rotation is 14 hours – completed in two days. During the lab practice, students learn all 50 skills required for the state certification exam. Experienced registered nurse instructors supervise students during the lab skills and clinical rotation. Applicants must submit the results of a TB test, Hep B waiver, state ID, social security care, and background check for admission. Tuition is $514 – includes books and DVDs. Graduates are eligible to sit the state certification exam for inclusion on the nurse assistant registry. The Health Education Center offers a state-approved online Nurse Aide Course that prepares students for the state certification exam. The curriculum covers eight learning modules and eight tests for learning. Students have up to one year to take the nurse aide competency exam. The flexible format follows Medicaid guidelines and lets students complete the didactic training online, based on their own schedule, and obtain the required clinical experience on Saturday and Sunday. The clinical practice may be completed in two 8-hour days each month. The total cost of attendance is $525 and includes a kindle textbook and liability insurance. Address: 3903 Vantage Place Louisville, KY 40299. RightChoice CNA training prepares students for success on the Kentucky State Exam to be a State Registered Nurse Aide. The foundational preparation enables students to provide quality direct care services in a medical facility. They will also have the fundamental skills to advance their career in nursing. The curriculum covers the entire scope of practice for CNAs as outlined on the Mosby’s Textbook for Long-Term Care Nursing Assistants. Course topics include but are not limited to grooming, nutrition and fluids, oxygen needs, body mechanics, body structures and functions, the nursing process, mental health problems, safety, rehabilitation and restorative nursing, and end-of-life care. State and federal guidelines require full attendance of the program’s 75 hours, including the 16 hours allocated to the clinical practicum. Students must complete a TB test, background check, drug screen, and fit to work physical. The total cost of attendance is $590, which includes the non-refundable registration fee. Also included in the cost are textbook and workbook, drug screen, scrub top, background check, basic physical exam, and skills demo CD. The Kentucky Nurse Aide Training program at the American Red Cross comprises of classroom instruction and clinical training to prepare students for a career as a nurse assistant. Graduates can apply for the State Nurse Aide certification exam administered by the Kentucky Community & Technical College System (KCTCS). 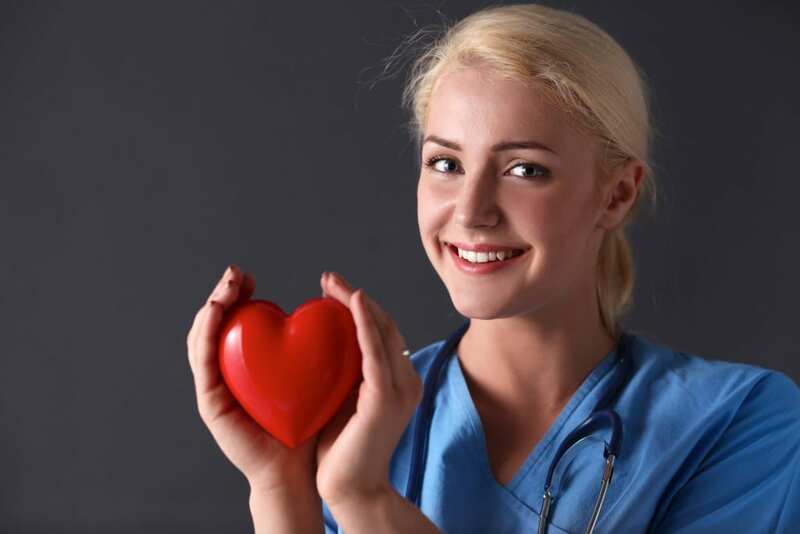 The curriculum covers 100 hours of nurse aide training, including clinical experience at a long-term care facility and CPR and First Aid training. Day and evening schedules are available. Interested persons must attend an orientation session to learn the admission requirements and expectations for the program. Graduates receive a Certificate of Completion which makes them eligible to sit the state certification exam. Employment assistance, including resume writing and job fairs, is available for all students. Scholarship opportunities may be available. The following nursing home facilitates periodic nurse aide in collaboration with the American Red Cross.